During Spring and Summer, guided trips in Sweden are a unique chance to fish in one of the best pike fishing areas of Sweden, combined with an abundance of wildlife and stunning surroundings. At White Label Fishing we try to provide the best possible fishing experience to suit your needs. A variety of techniques can be demonstrated to match the conditions during Spring and Summer. 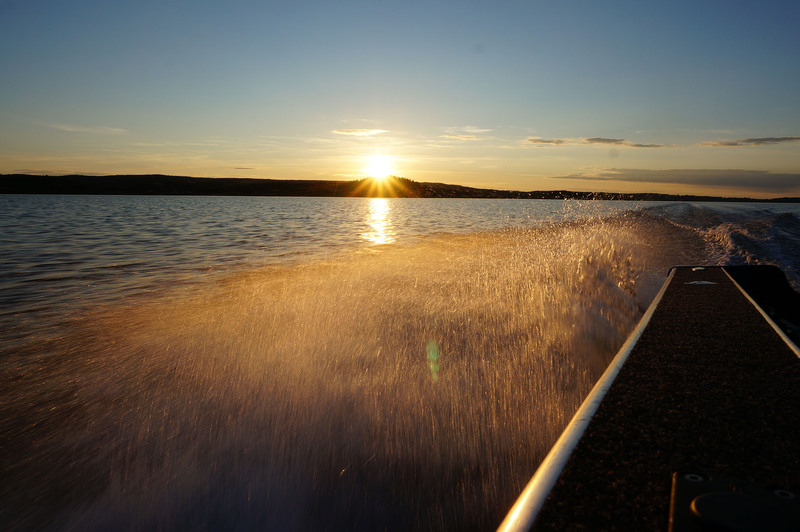 In cooperation with Sportfishing Dalsland, guided trips will be hosted on lake Vänern and the inner lakes in Dalsland and Värmland. There is a limited amount of days available, please contact us directly or contact Sportfishing Dalsland for info about availability and pricing. Depending on the season, we start at 06h00 or 07h00 and the day ends around 16h30/17h30. Both start and end times can change if needed. It is best to bring your own lunch/snacks and drinks, though drinks will be available on board. You need to provide your own fishing license. We will provide you with details where to purchase it. Use of GoPro and Waterwolf HD underwater cameras can be arranged. Recorded footage will be shared via WeTransfer. Photos can be downloaded at the boat or send later on via e-mail or WeTransfer. We will only post photos of you on social media (mainly Instagram) with your permission. Payment will be at least 25% in advance, up to 100%. The remaining amount can be paid cash or through a bank transfer. An invoice will be provided. Accommodations can be arranged via Sportfishing Dalsland, including rental boats.